Cross domain tracking with Google Tag Manager (GTM) is an excellent way to ensure you don’t lose Google Analytics data when users move between your different domains during the same session. This post will cover the set up steps, with relevant screenshots to make sure your implementation is a success. If any part of this post is unclear, feel free to leave a comment. There are two methods to track cross-domain activity: Using 1. Auto Link Domains or 2. Form/Link Decorator Tags. We’re using 2 here. Source / Medium data in Google Analytics is dropped once the user moves to Domain B, becoming (direct) / (none). This happens even though Google Analytics was installed on both domains, argh! Without source/medium data, we’re unable to properly track our marketing efforts. Google Tag Manager (GTM) makes it easy to consolidate and manage multiple tags within one “container”, without having to modify site code. Open a container and install the code on your sites. At the same time, be sure to remove your existing GA tag, because now it will be contained within GTM. I recommend installing Google Tag Assistant for Chrome, it’s great for quickly checking if website tags are firing properly. Referral exclusions tells Google Analytics to record sessions as if they are from the same website, even though we’re using separate domains. The primary domain will be listed there by default. Note: travelclick.com and ihotelier.com use a few different sub-domains (ie: booking.ihotelier.com and reservations.ihotelier.com). By adding the root domain we are covering any and all sub-domains. If you are targeting ONLY a specific sub-domain, include the subdomain(s) instead of the root. Note 2: Our referral exclusion list for this property also now includes travelclick.com, their new booking engine site. This is what needs modified on your Universal Analytics tag. Note 2: We’re using two separate GTM Containers because of how Travelclick configured their site. 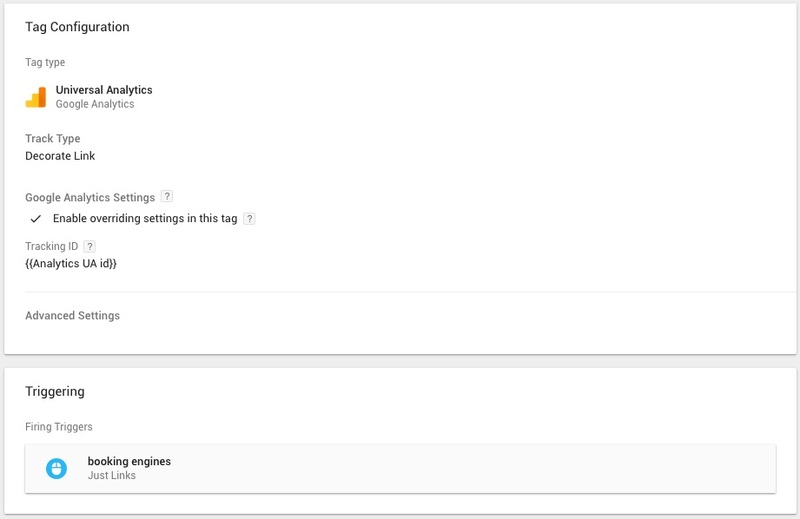 Make sure each Page View tag in each container you’re using has the same configuration. 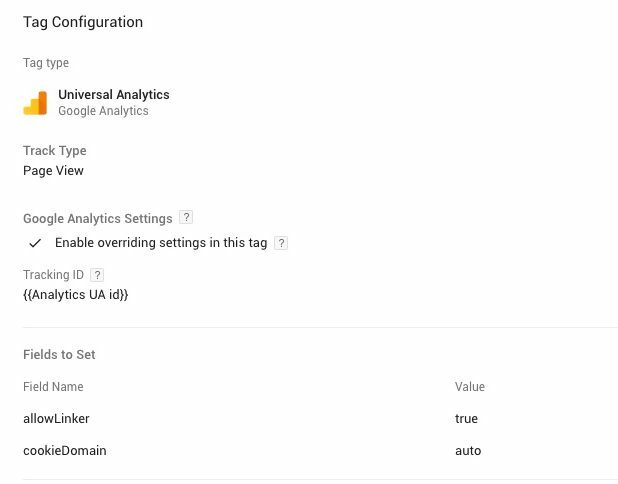 Next, Add a Google Analytics tag to your GTM container. Select Track Type “Decorate Link”. Select the click trigger you just created under “Triggering”. If your site submits a form to another domain, we also need to decorate forms with Google Analytics cookie data. Create a trigger that uses forms. You may have to use different settings than this depending on your form setup. I used our form’s ID to ensure only this form decorates links. 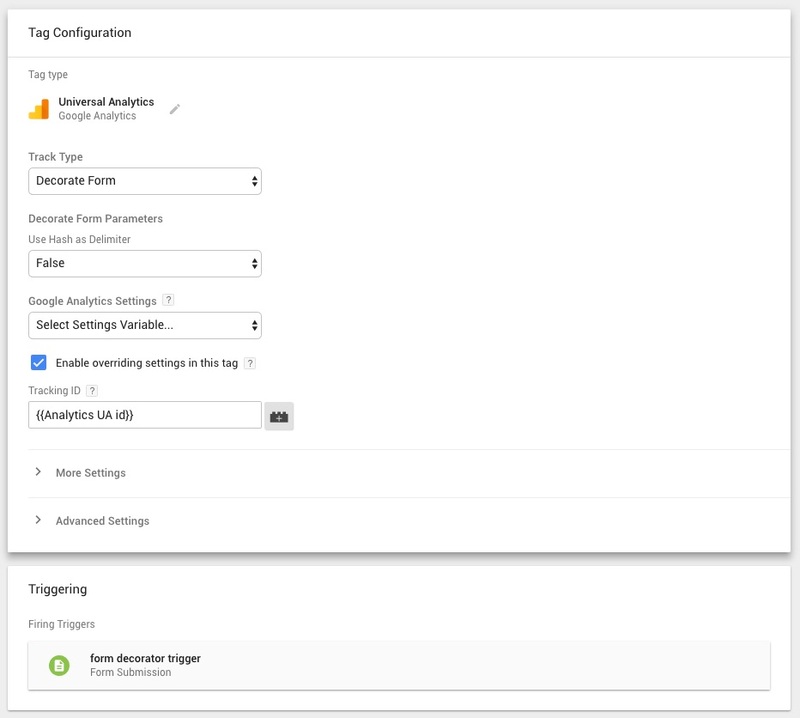 Next, Add a Google Analytics tag to your GTM container. Select Track Type “Decorate Form”. Set the trigger to the form trigger you just created under “triggering”. Using Tag Manager’s Preview and Debug mode, you can test that your tracking is working correctly. That’s it for cross domain tracking setup. As your website traffic moves to your 3rd party booking engine you will be able to see attribution from all traffic sources. Let us know if you have any questions below! HI ELI, Thanks for the post. What will happen if you have 2 separate GA account for those 2 sites and you want both GA record the same conversion type? Would you install a GA analytic script together with the shared GTM on each site? which completed the payment from third-party payment gateway. But sometime, the customer didn’t click the URL back to our site after complete the payment. Such that we are miss out some revenue on GA report. So this cross-domain function can configure the trigger point on third-party gateway by complete payment URL? Awesome tutorial – been struggling with this very issue with a Travelclick client. Have you managed to get Ecommerce tracking to work as well? This part seems to still fail for us! Travelclick’s team ended up configuring ecommerce tracking for us, it seems to work correctly. Contact their team about it for sure! I followed all your steps. Doesn’t seem to be working. My issue is double counting pages where an iFrame form is installed. Example is https://www.navigarecruiting.com/about-naviga-recruiting-executive-search/recruitment-markets/recruitment-atlanta/. The iframe is pointing to my forms at infusionsoft.com. Only thing I am concerned about is that I cannot add GTM code on the iFrame form page in total. I don’t have access to the header. I put the script for the body as a hidden field on the form. The rest, I believe I did everything you suggested including updating the GA tag in GTM, creating the link and form decorators, and updated the referral exclusion list. Do you have any suggestions on how to get this cross-domain scenario set up successfully? Sorry for missing this. Did you find a solution? It seems like you can use other forms that integrate with infusionsoft, such as contactform 7 or gravityforms. These forms would stay on your domain, meaning you would not need cross domain tracking at all.